This spectacular square is one of the best places to find all kinds of people, concerts, festivals, protests, fund-raisers and everything else that goes on in the city. 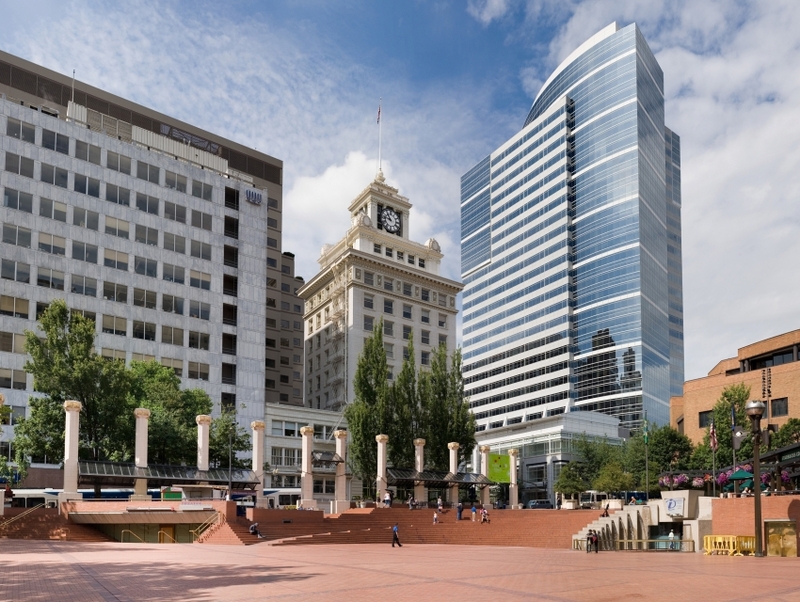 Once an address to Portland's first school, today visitors and locals come here to eat their lunch by the on-site waterfall, tall columns and wrought iron structures. Quite possibly one of the busiest blocks in town, it is a great place to people-watch and get an idea of what a typical Portlander looks like. In the blocks surrounding the square you'll find some of the best upscale shopping in the city. The square is also where you will find the Portland Visitor Information Center.